Ever since Colorado and Washington state first implemented legalization of recreational cannabis, searches for “What’s the closest dispensary to the airport?” in legal states have skyrocketed. We’re here to answer that question. 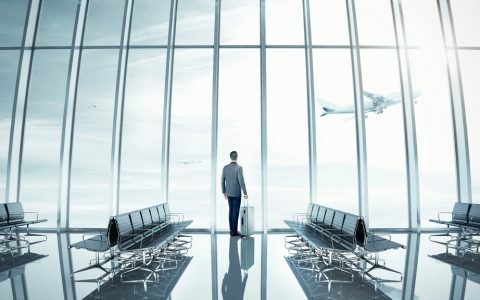 Whether you’re a curious tourist just touching down in a state with legal adult-use cannabis, or a medical patient that’s been away from your home and source of medication for too long, these are the closest dispensaries (excluding delivery services) to major airports in each of the largest legal cannabis markets. Happy travels! 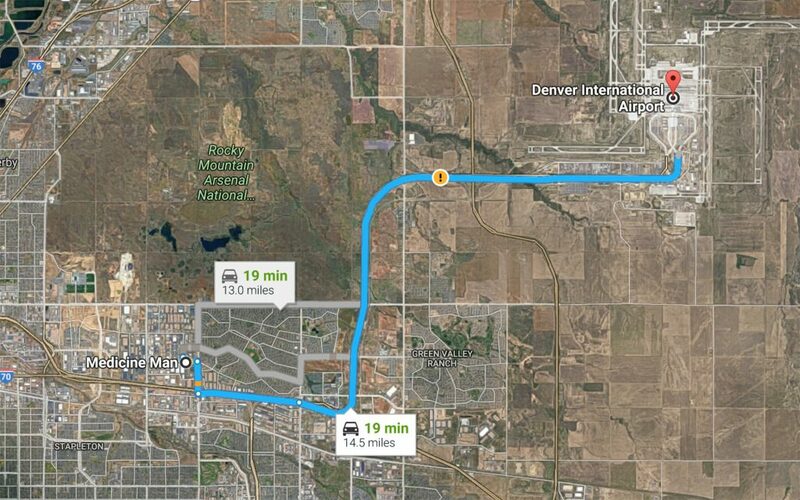 At 13 miles out, Medicine Man Denver (take the Peña Boulevard to East 56th route) beats Lightshade’s Peoria location by a hair for the closest dispensary to the inconveniently-distant-from-downtown Denver airport. 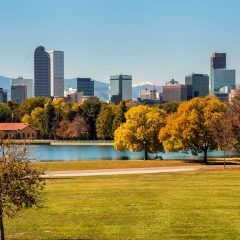 Given that Denver’s such a canna-tourist destination, you’d think someone else would have moved in a bit closer by now – that said, a closer Native Roots location is in the works to open later in 2017. Best Munchies at DEN: Magic Pan (think bananas and caramel wrapped up in piping hot crêpes). 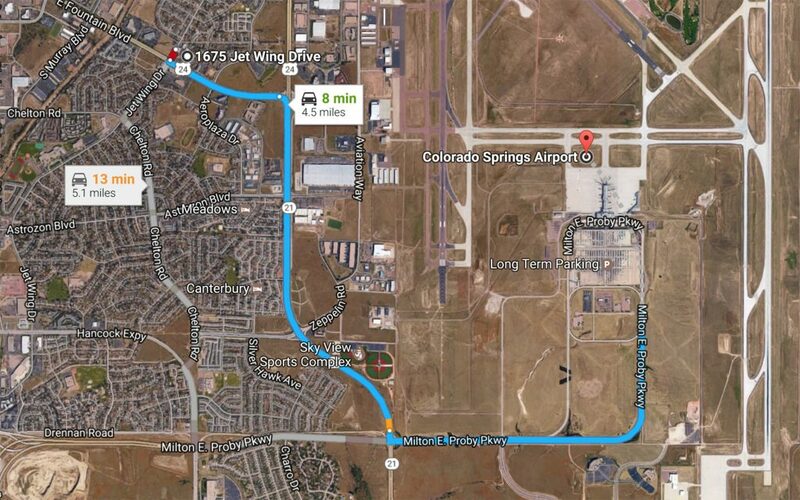 Cannabis Yummy Strains, or CYS, is a family-owned spot that’s close neighbors with the Colorado Springs Municipal Airport. 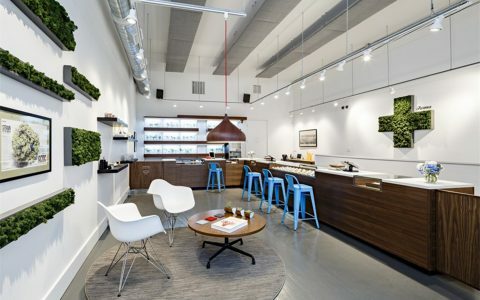 When you fly in, expect friendly service and a dispensary that feels just like home, with 75 strains grown in-house. Best Munchies at COS: Pickings are slim, but Pike’s Perks coffee and tea house (opposite gate 6) will do for a caffeine fix. 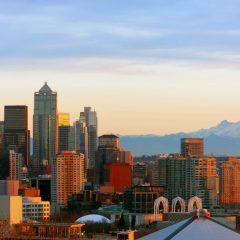 Mere minutes from Sea-Tac, Washington state’s largest international airport, Kush21 welcomes incoming transplants and tourists with quality products and excellent service, making this a perfect first stop on the way into the Emerald City. Best Munchies at SEA: Beecher’s Cheese Café. 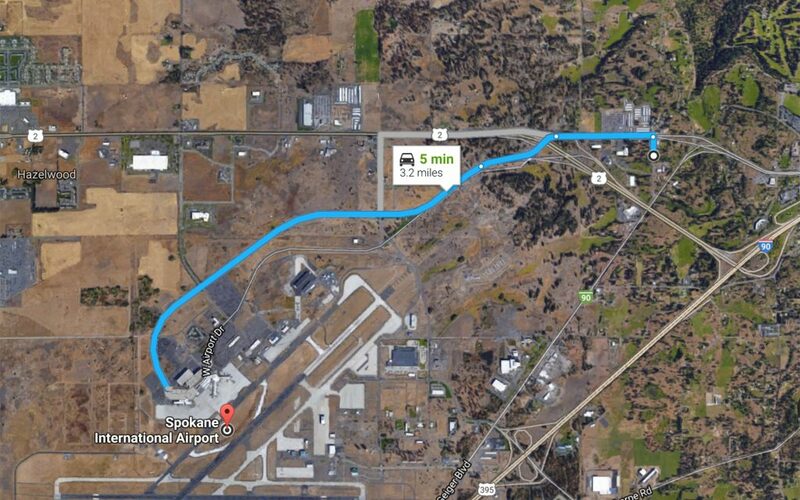 On the other side of Washington, 4:20 Friendly is the closest dispensary you’ll find to Spokane International. The shop lives up to the “friendly” in its name: don’t pass up this neighborly spot before venturing into the city. Best Munchies at GEG: Spokane Tap Room (in the main lobby). 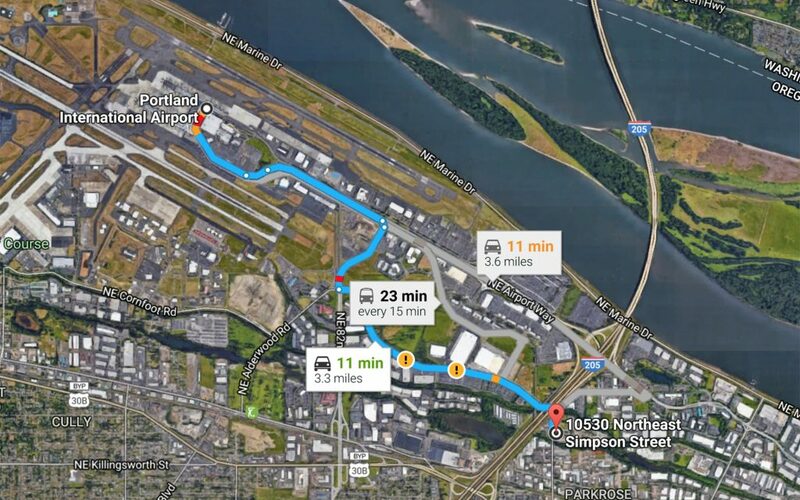 Plane Jane’s, as hinted by the name, lies right outside Portland International Airport, which makes it the most convenient location as you fly into the Rose City. It’s known for knowledgeable and friendly staff with an expansive selection of local products. Best Munchies at PDX: Country Cat (in the North Lobby). Directly off Highway 99 from the Eugene Airport, stop into TJ’s Provisions for quality flower sourced from their very own gardens! TJ’s also provides a $1 discount when customers bring in their old flower containers, so it’s a perfect stop on your way back to the airport (grab an edible the second time around to snack on before your flight out). Best Munchies at EUG: Willamette Grill Express. 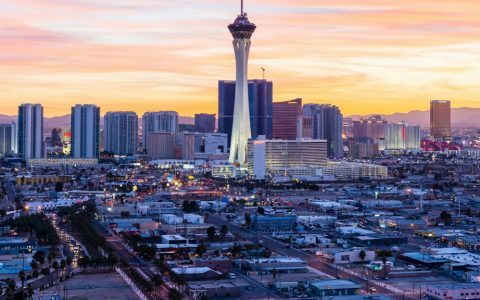 *States with reciprocity, like Nevada, are able to accept out-of-state medical marijuana cards at local dispensaries. Note: While Michigan technically also offers reciprocity, it’s not laid out in black and white terms, and Michigan cops aren’t always understanding with out-of-state consumers, so we still recommend having an in-state authorization, hence its exclusion from this section. Vegas got a little more interesting when The Grove opened up between McCarran and the Strip. Taxes are included in menu prices and the store offers $10 off to first-time visitors, so check out this little store lined in neon lights on your way into the epicenter of the city. Best Munchies at LAS: Jamba Juice (close to the C and D gates). Blüm Reno is a modern, polished dispensary serving the greater Northern Nevada area at its location just a few minutes from Reno-Tahoe Airport. Out-of-state visitors especially should be sure to check out the extensive selection of local edibles and concentrates. Best Munchies at RNO: Wild Garlic Pizza (by the B and C concourses). Closest Dispensary: Nature’s Cure, Inc.
With numerous daily specials and a 5% discount for all veterans and disabled patients, it’s nearly impossible to go wrong when visiting Nature’s Cure, Inc. 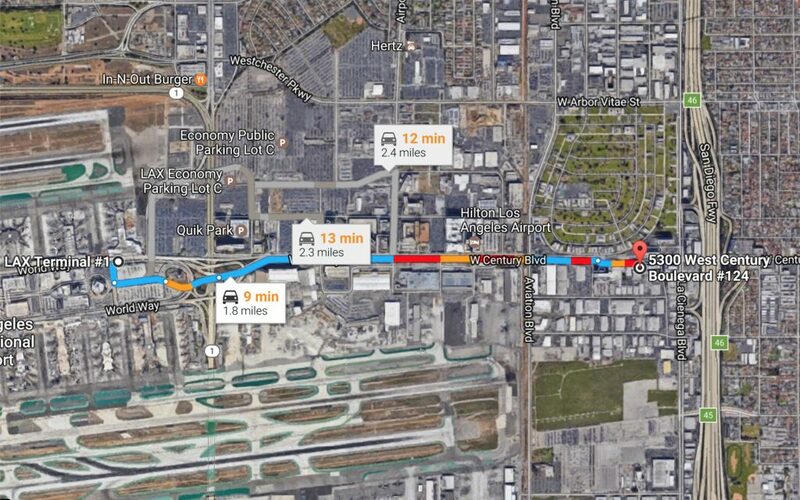 Furthermore, being so close to LAX, it’s also nearly impossible to pass this place up. Best Munchies at LAX: Pink’s. 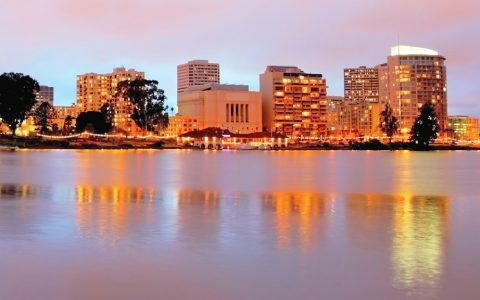 Located in the heart of San Diego, Point Loma Patient Consumer Co-Op is a licensed medical dispensary with excellent products and incredible customer care. While there are also numerous delivery services in the area, returning patients to this physical store receive a free gift with every purchase, so be sure to head back again before your next flight for some on-the-house spoils. Best Munchies at SAN: Einstein Bros. Bagels (by gate 3). 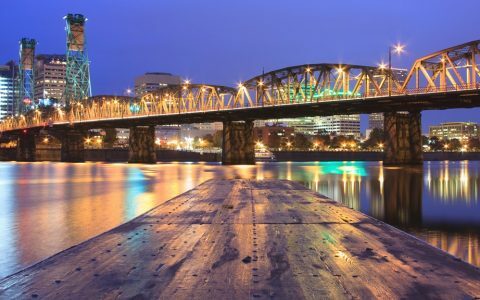 California’s capital city got a little greener when Two Rivers opened their doors to medical patients in the greater northern California area. 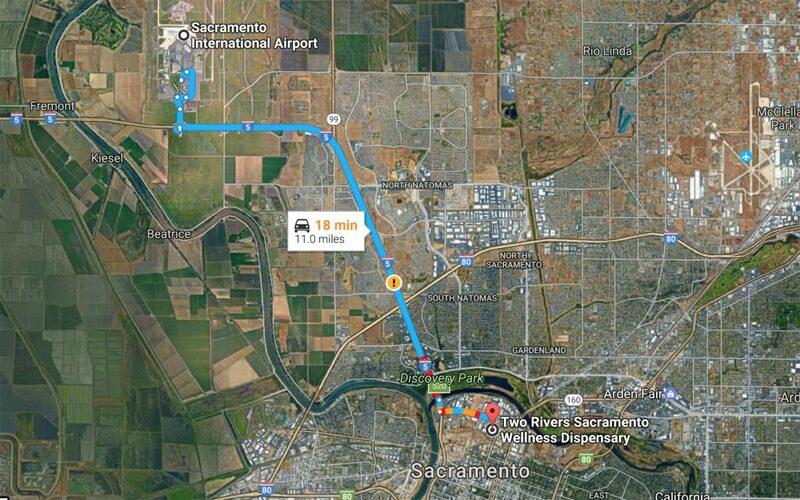 As you make your way to Sacramento, stop in and check out their convenient location. Best Munchies at SMF: Squeeze Inn (terminal A). 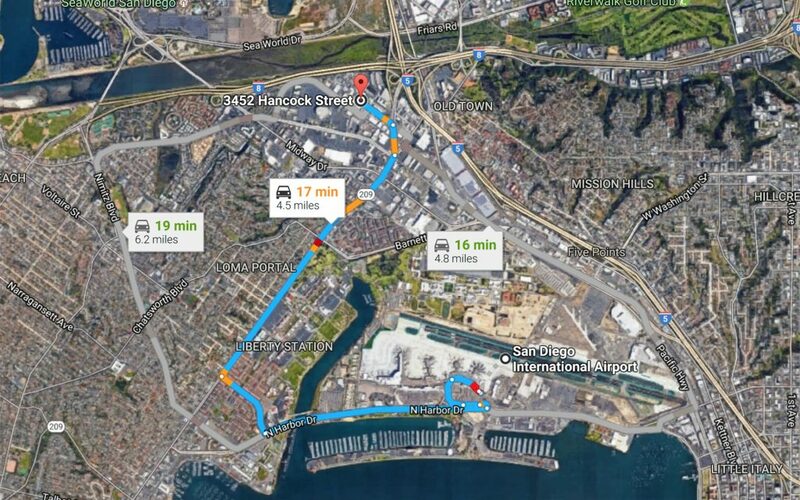 California traffic is notorious, but if you’re heading to Phytologie, you can rest easy. Traffic coordinators guide visiting patients through the parking area so you can be in and out in a snap. 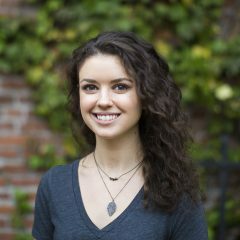 With free pre-rolls for new patients and friendly, knowledgeable staff on hand, you’ll want to make a pit stop. Best Munchies at OAK: Andalé. New patients at PARC Phoenix receive one free pre-roll or gram of equal value when making a purchase, which gives you an excellent excuse to pop in when leaving Phoenix Sky Harbor. They’re also a not-for profit that truly cares for their patients. Best Munchies at PHX: Chelsea’s Kitchen. Just a stone’s throw away from Tucson International Airport stands Earth’s Healing, an award-winning dispensary with myriad quality products and wonderful staff. 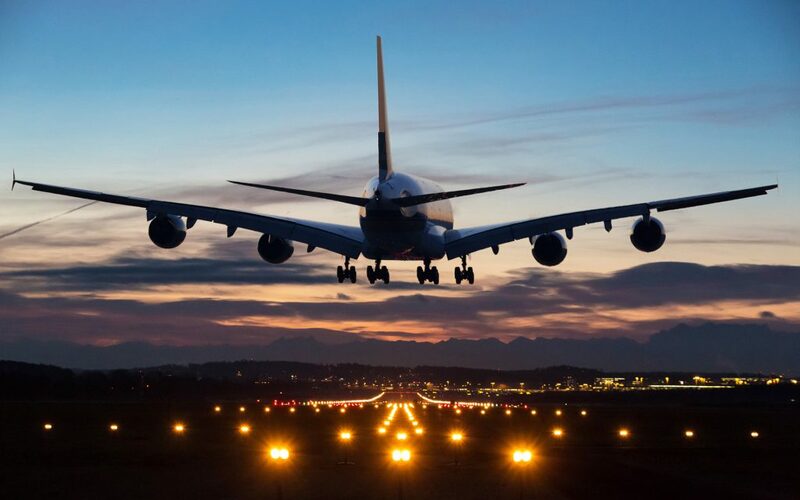 Check out their deals and discounts after landing. Best Munchies at TUS: Cheeburger Cheeburger (concourse A). Wonderful and consistent customer service is abundant at Holistic Health Wayne, just a short drive from the Detroit Metropolitan Wayne County Airport. The dispensary offers over 30 different strains, and customers get peace of mind knowing that everything coming through the doors has been lab tested. Best Munchies at DTW: Vino Volo (in the McNamara terminal; go for the cheese plate). CDXX Boutique is a little out of the way from GRR (unfortunately, most dispensaries in nearby Grand Rapids have been shuttered by ongoing law enforcement raids), but it’s a great dispensary with great service and worth a stop on your adventures. 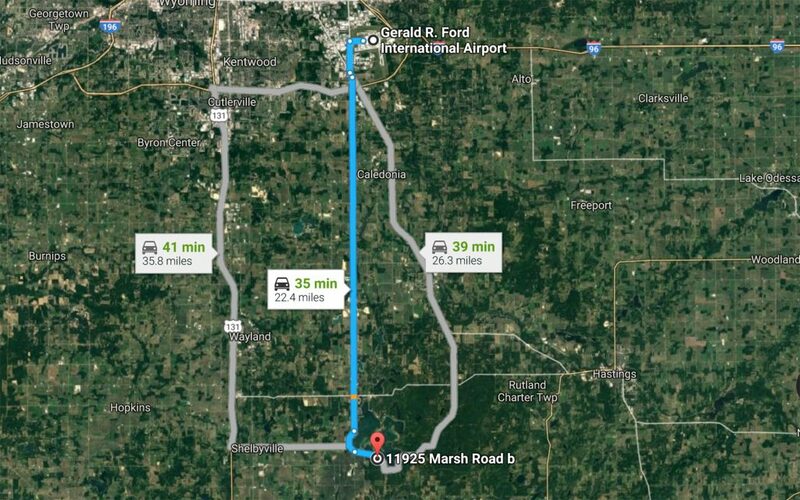 Technically, The Blue Door MI is a smidge closer, but as it’s only open 13 hours per week, its neighbor CDXX will be the better bet for most travelers. Best Munchies at GRR: Bell’s Brew Pub (terminal passenger building). Eden Medicinal Society, opposite the Vancouver International Airport, comes complete with a welcoming atmosphere and great bud. 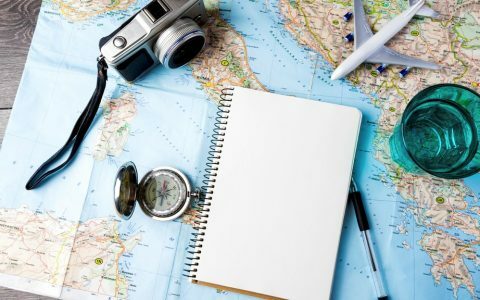 In 2014, EMS was the very first organization in Canada to pass the Canadian Association of Medical Cannabis Dispensaries’ accreditation program, so you know you’ll be getting the best of the best on your way into Canada, eh? 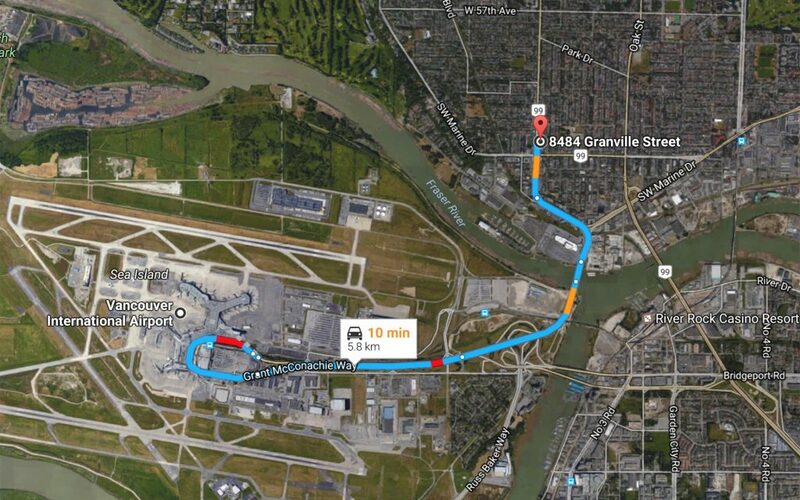 Best Munchies at YVR: Flying Beaver Bar & Grill (nab a spot on the patio to watch seaplanes take off from the water). 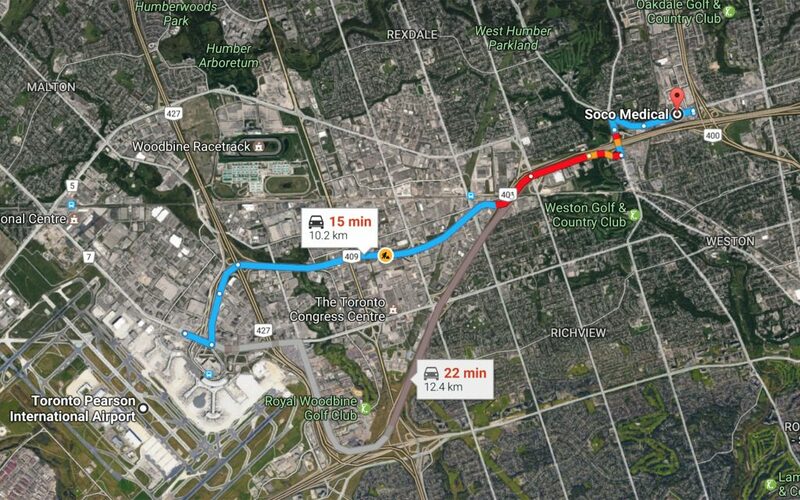 SoCo is conveniently located off Highway 400 between two lush golf courses. It’s a not-for-profit, member-run co-op that grows all its own product and fights for patient rights. Best Munchies at YYZ: Farmers Market (by terminal 1). You missed the closest dispensary of ANY of these, and did not cover San Jose CA. 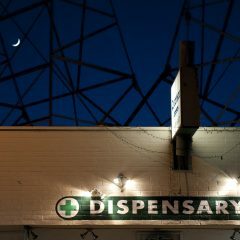 Airfield supply Co is literally connected to the Airport and is a phenomenal dispensary! 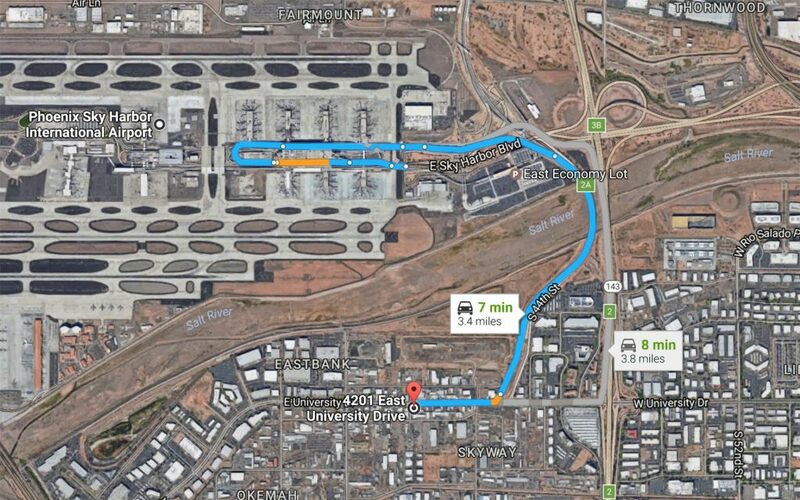 Google maps has it at 2.4miles, as you can walk across the tarmac! 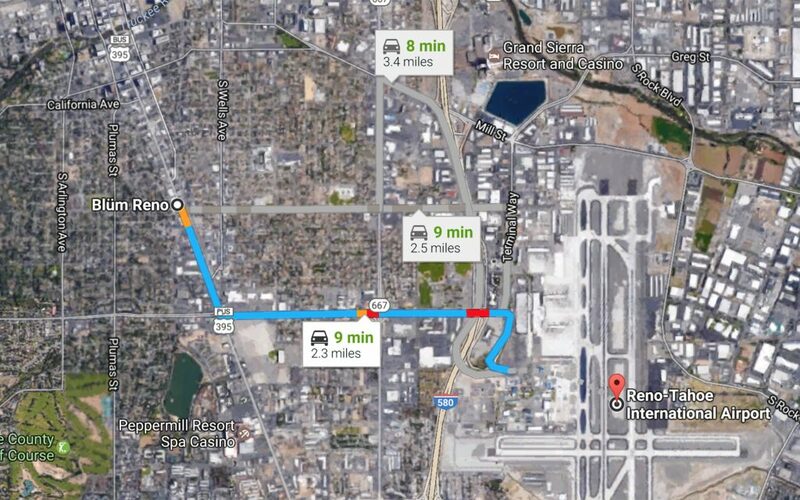 you missed BUR airport in your tour of So. 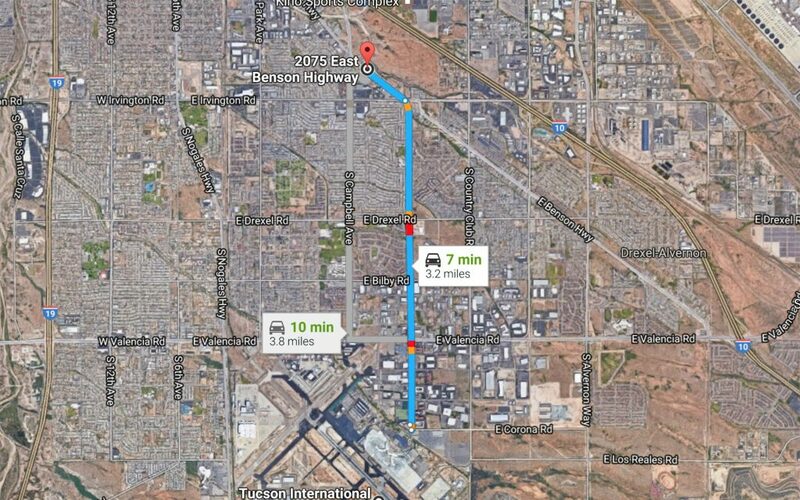 CA & there are many dispensaries within a few minutes’ drive of same. Taste Chicago, owned by actor Joe Mantegna, is also close by for killer eats, as are numerous Mexican restaurants. 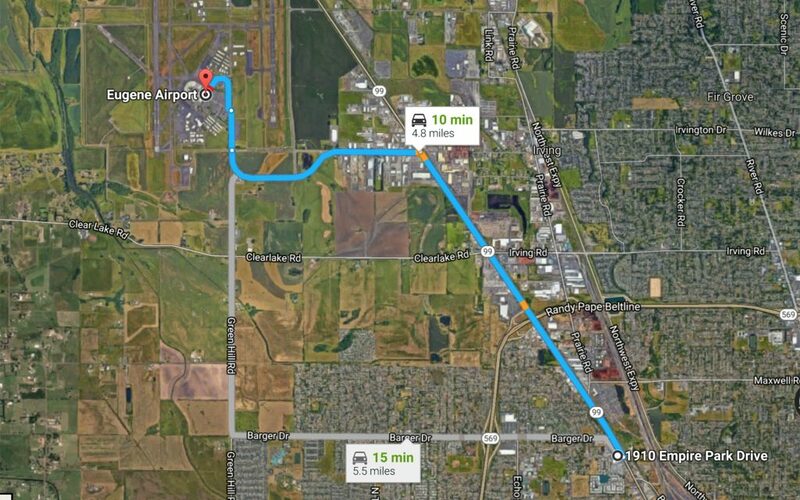 Oregon’s Green Rush in Eugene, OR is the closest dispensary to the Eugene Airport. 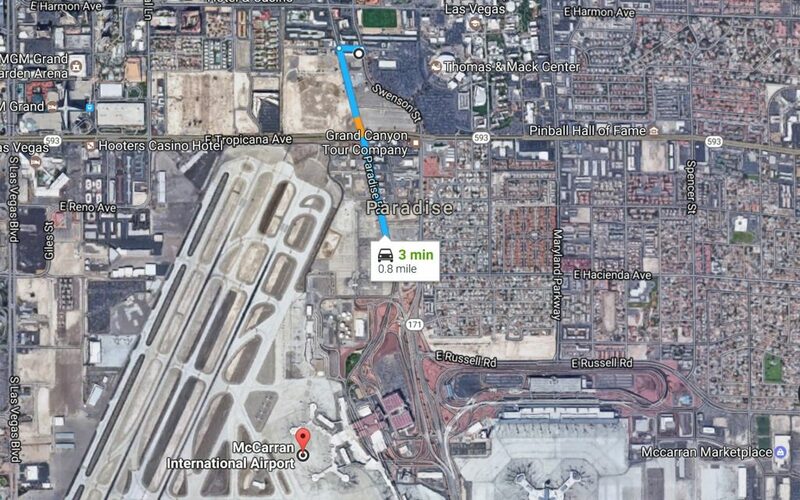 We are located 4.2 miles from the airport, TJ’s is located 4.8 miles. Bellingham International Airport is Washington’s third largest commercial airport. 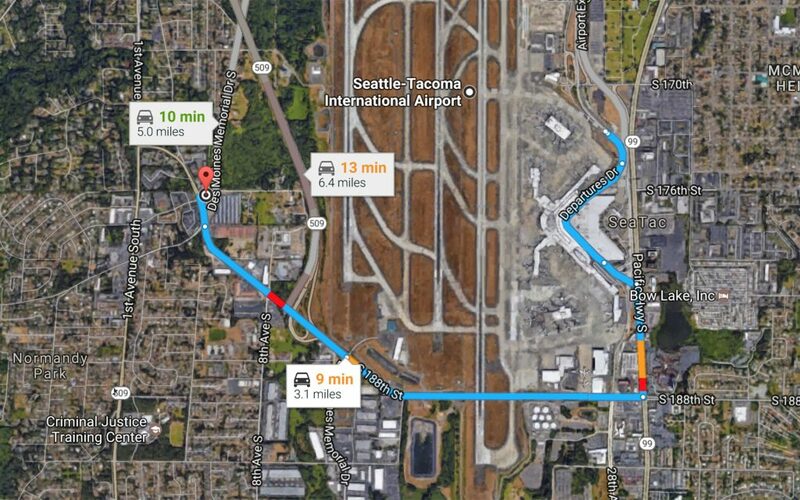 At only 3.2 miles away, Green Leaf Recreational is the closest recreational cannabis shop to Bellingham International Airport, which is also only about 48 miles south of Vancouver International Airport, and makes for a cheap airfare alternative for many from British Columbia, Canada. Thanks for this post, I appreciate it! 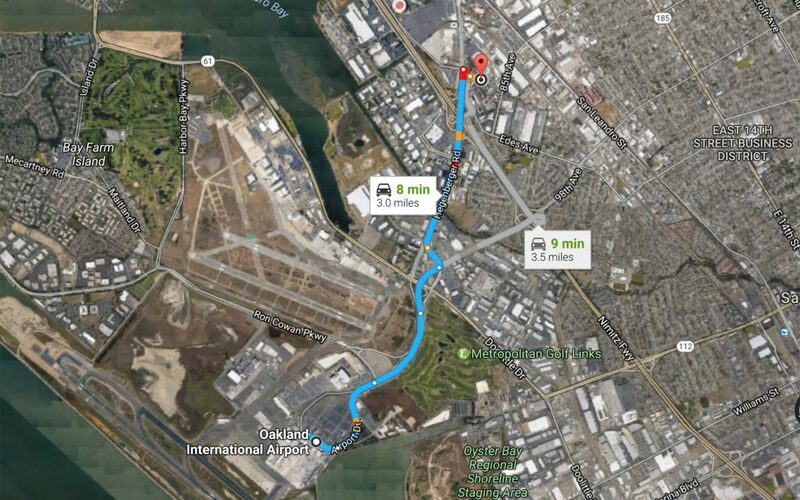 Would be nice to know if any delivery places do runs to the airport for folks on long layovers. Could have used a refresher during my time at LAX last week. The closest to any airport ever is “Trulieve” dispensary in Miami. 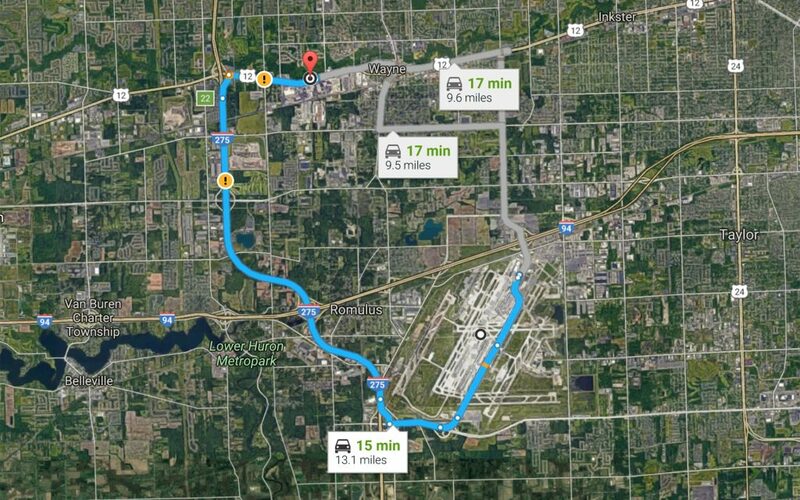 It is less than 1/4 of a mile away from Miami International Airport.